1) How cold is it where you are? 2) This familiar song was introduced in a 1949 film called Neptune's Daughter. (watch a clip here). Name another movie song. 3) Who was the last person to call you "baby?" 4) This time of year is important to college football fans. Have you watched/will you watch any bowl games? 5) Are you sad to see the holiday decorations begin to slowly disappear? Or do you think they should all come down right away? 6) Did you tell the truth about your weight on your driver's license, or did you shave off a pound or two? 7) Crazy Sam swears that the Echinacea she takes every morning keeps her healthy. Her boyfriend tells her she's wasting her money. Do you take any herbal supplements? 8) The average restaurant in the US tip is 18%. Are you a generous tipper? 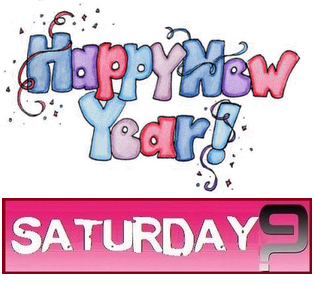 9) This is the last Saturday 9 of 2013. Do you know the lyrics to "Auld Lang Syne?" 1. 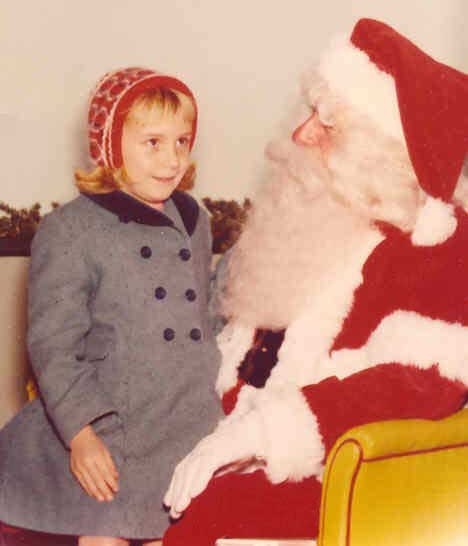 As you can see, when Sam Winters was a little girl, she loved giving her annual wish list to Santa. If you could ask Santa for anything at all, right now, what would it be? 3. Are you traveling this Christmas? If so, are you going by car, plane or train? 5. What's your favorite holiday-themed movie or TV special? Have you seen it yet this year? 6. Which do you prefer: candy canes or gingerbread? 7. Close your eyes and tell us the first carol that comes to mind. 8. What's your favorite winter beverage? 9. What will you remember most about 2013? 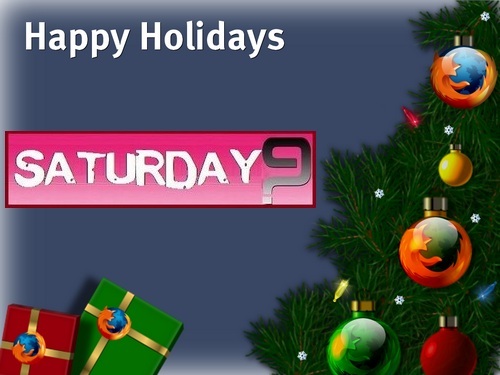 Thanks so much for joining us again at Saturday: 9. As always, feel free to come back, see who has participated and comment on their posts. In fact sometimes, if you want to read & comment on everyone's responses, you might want to check back again tomorrow. But it is not a rule. We haven’t any rules here. Join us next week for another version of Saturday: 9, "Just A Silly Meme on a Saturday!" 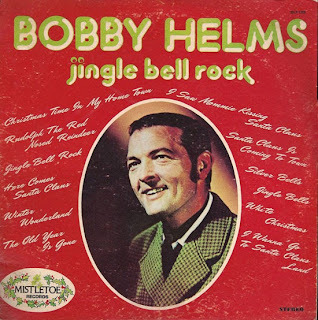 1) Sam has affection for this song because, when she was very young, she tap-danced to it for a Christmas recital. Her parents told her she was wonderful. Do you have any memories from a school/church program or pageant -- either as a child onstage or an adult in the audience? 2) Ok, she admits it: After too many cups of holiday cheer, Sam did a few steps of her "Jingle Bell Rock" routine at last year's company Christmas party. Have you ever done anything at a coworker gettogether that you now regret? 3) Since that unfortunate Christmas 2012 incident, Sam can't even look at a cup of egg nog. How about you? Do you like egg nog? 4) For special events, Sam slips on her favorite piece of jewelry: a charm bracelet that once belonged to her grandmother. Do you have a special treasure from a previous generation? 5) The only Christmas card Sam has received so far in 2013 is from her insurance agent. How about you? Have any holiday cards arrived yet? 6) Because of the chill in the air, Sam gave her dog his Christmas gift -- a sweater -- early this year. He's already gotten compliments on it. Are there any pets on your gift list? 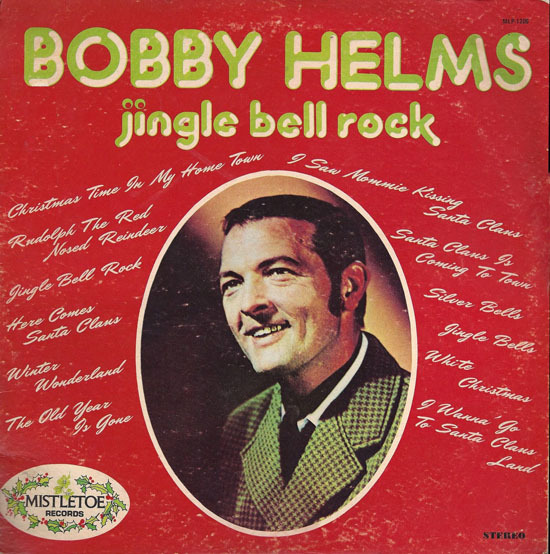 7) Do you need snow to get "into the spirit?" 8) Are you going to get/have you gotten a flu shot this year? 9) December is an important fundraising month for charities. Here's your chance to plug a worthy cause that means a lot to you. 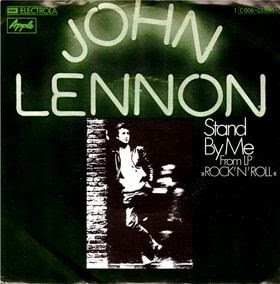 1) "Stand by Me" is one of the songs John Lennon did at his last public performance back in 1975. First recorded by Ben E. King, "Stand by Me" was also covered by Mickey Gilley and Otis Redding, among others. Can you think of another song that has been recorded and then re-recorded by someone else? 2) The lyrics say, "Whenever you're in trouble, you can stand by me." Tell us about someone you know you can count on. 3) While "Stand by Me" was solo Lennon, John is best known as one of the Beatles. Which group do you listen to more often -- The Beatles or The Rolling Stones? 4) Lennon liked to tell how, when he and Paul McCartney were teens, Paul's father used to discourage friendship between the boys. Paul ignored his dad's advice and the result is the most successful songwriting partnership of the 20th century. Tell us about a piece of advice you're glad you ignored. 5) John loved cats. When he was a teenager, he first met his favorite, a stray he named Tich, in the snow and gave the cat a safe, lifelong home. John was very proud that Tich lived to be 20 years old. Tell us about a pet who has a place in your heart. 6) John unsuccessfully tried hypnosis in his quest to stop smoking. Have you ever been hypnotized? 7) John has been inducted into both the Rock and Roll Hall of Fame and the Songwriters Hall of Fame. What Hall of Fame would like to see yourself in? 8) John had a passion for slot cars and raced them on an elaborate track in his game room. What games or toys do you still enjoy? 9) John wrote about his jealous streak. What personality trait of yours do you wish you could change? 1) Black is this week's signature color because Friday, November 29, was "Black Friday," when retailers cut their prices and consumers flock to the stores. Did you score any "Black Friday" bargains? 2) Legend has it that Black Friday began as a neighborhood phenomenon among storeowners in Philadelphia back in the early 1960s. What else comes to mind when you think of Philly? 4) At Thanksgiving dinners, Crazy Sam's homemade gravy is always a hit. (Probably because she's so generous with the cognac, which gives the gravy a nutty taste.) Do you have a signature dish? 5) Among the biggest the Black Friday advertisers are Target, Kohl's, Macy's and Best Buy. If you could have a $100 gift card to any one of those stores, which would you choose? 6) You're in a public restroom that offers both paper towels and a hot air hand dryer. Which one do you choose? 7) While Back to Black is the best-selling Amy Winehouse CD, her first was called Frank, named for her hero, Frank Sinatra. Tell us about someone you inspires you. 8) Do you consider yourself a pessimist or an optimist? 9) Who was the last person you spoke to on the phone (a verbal conversation -- not an exchange of texts)? This song was popular 50 years ago today. Hear it here. 1) In this song, our hero orders espresso. What's your standard coffee order? 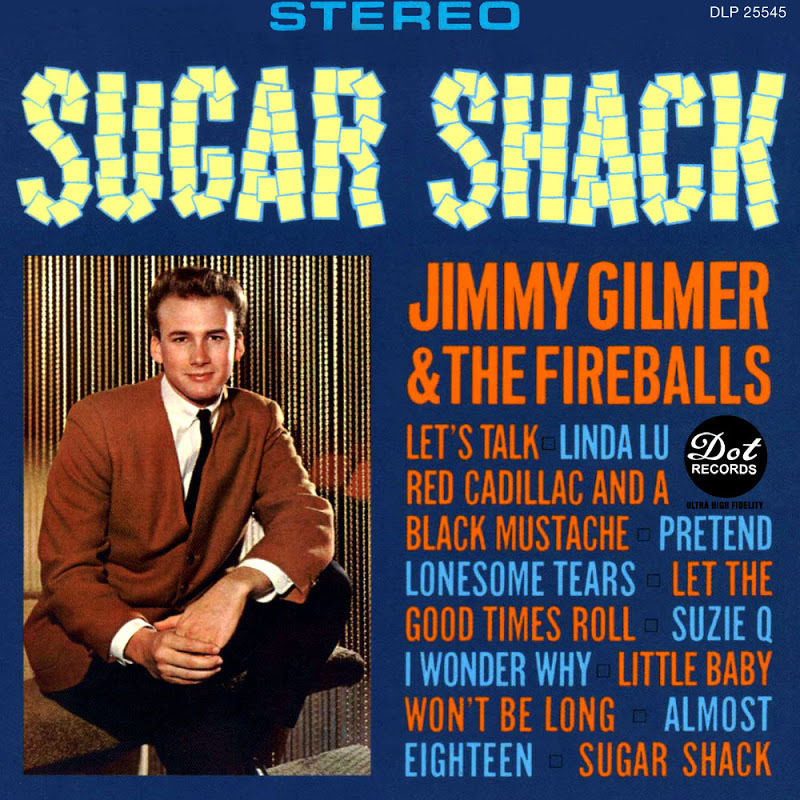 2) Originally the phrase "sugar shack" meant a small cabin where sap from maple trees was boiled into syrup. So for breakfast today, would you rather pour syrup on pancakes, french toast or waffles? 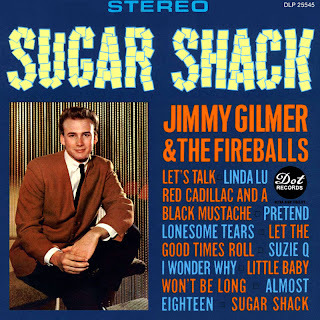 3) The name of the group that recorded this song is The Fireballs. "Fireballs" is also the brand name of a red hot jawbreaker. Do you like cinnamon? 4) In 1963, when this song was a hit, newscaster Walter Cronkite was one of the most trusted and influential men in the country. Do you have a favorite TV newsperson? 5) The Rambler was named 1963 Car of the Year by Motor Trend, and their most popular model was a 9-passenger station wagon. What's the car of your dreams? 6) The Zip Code was first introduced in 1963. How many different Zip Codes have you had throughout your life? 7) What was the first thing you thought about when you woke up this morning? 8) Are you a good pool player? 9) Do you actually make a wish when you blow out your birthday candles? 1) In this song, the singer tells his girl he appreciates how she makes him feel. Who is the most supportive person in your life? 2) Our singer only has to count to 4, which is a cinch. Do you understand the more sophisticated math sciences, like geometry and algebra? 3) This video features a couple who shared their first kiss behind the high school. Tell us about your first kiss. 5) Chicago is home to two of the world's tallest buildings -- the Willis aka Sears Tower and The John Hancock Center (which appears briefly in this video). Both have observation decks that offer panoramic views of the city. Are you afraid of heights? 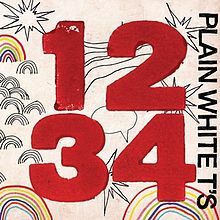 6) The Plain White T's got their start in Lombard, a suburb of Chicago and home to Yorktown Center -- a huge, two story shopping mall. Do you enjoy going to the mall, or would you rather shop online, or in small, independent stores? 7) Naturally Yorktown Center has a food court. Would you prefer a pretzel from Auntie Anne's, a cinnamon roll from Cinnabon or a cookie from Mrs. Field's? 8) While we're at the mall … Imagine you're at the customer service counter of a big department store. As you wait for help, you see an older lady pocket a Timex watch. Would you turn her in or look the other way? 9) Which puzzle would you have more success with: crossword or sudoku? 1) In this song, Dolly Parton locks eyes with a definite maybe. 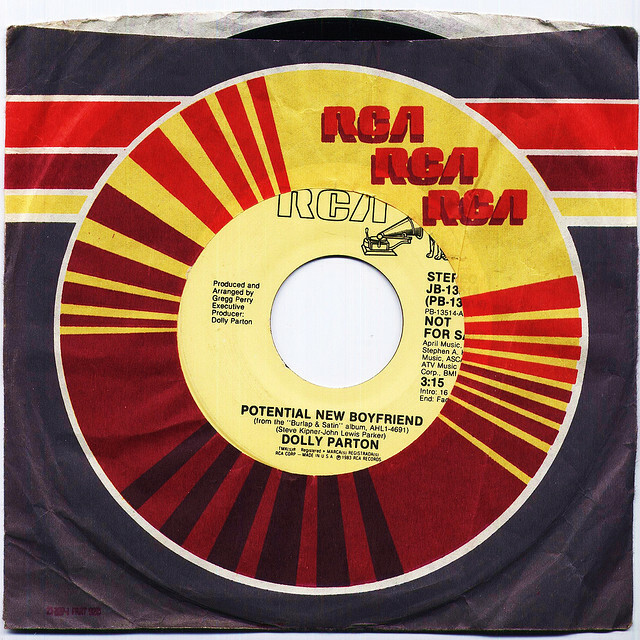 What's the first thing that attracts you to a potential new boyfriend or girlfriend? If you're currently in a relationship, what first attracted you to your partner? 2) When Dolly was still a very young girl, she met Johnny Cash, who told her to follow her instincts and pursue a music career. Obviously this worked out very well for her. What's the best advice you ever received? 3) Dolly enjoys telling interviewers how she met her husband at the Wishy-Washy Laundromat in Nashville. Do you have a load of dirty clothes, or some other household chore, waiting for you after you finish this week's Saturday 9? 4) Dolly's Imagination Library is a charity devoted to children's literacy. What book did you enjoy as a kid? Or, if you're a parent, what book did you enjoy sharing with your own children? 5) Dolly's theme park, Dollywood, is a very popular vacation destination. When you have time off, would you rather travel or have friends/relatives visit you? 6) Dolly is godmother to Miley Cyrus. If you could advise Miley, what would you say? 7) Dolly has earned a reputation for being very warm and friendly to the public. Have you ever had a celebrity encounter? 8) As you can see by the photo, this song was originally released on vinyl. Do you still have any old-school LPs or 45s? 9) Sam simply cannot stand Dish TV's Hopper commercial, where hysterical grown men hide under the bed and up in a tree house because they're afraid of ... something. What commercial just bugs the beejeesus out of you? 1) This is one of the first songs to see a bump in sales after its video was shown on MTV. Do you ever watch music videos? 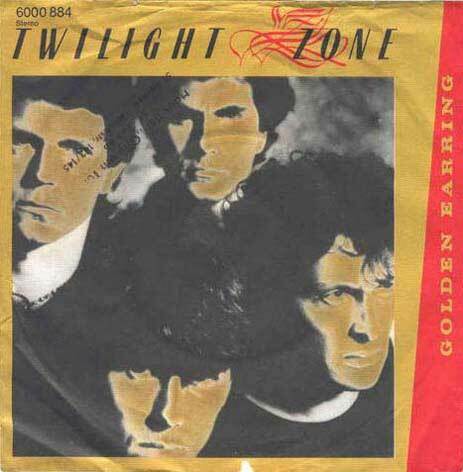 2) Golden Earring is from the Netherlands. The average life expectancy there is 79 years old. Who is the oldest person you know? 3) The song's composer says the song and especially the video were inspired by the 1980 book, The Bourne Identity. The espionage thriller was finally made into a movie with Matt Damon in 2002. Do you have a favorite secret agent/spy? 4) The song's title comes from The Twilight Zone TV show, which ran from 1959 to 1964. Are there any old shows that you enjoy watching in reruns? 5) "All guys cheat on their girlfriends, so yeah, I forgive him." Sam heard a young woman say that into her phone as they waited in line at the drugstore. While Sam is always surprised by how much personal information people share in the public, that's not what we're concentrating on this morning. Do you think that it's true? Do all guys cheat on their girlfriends? 6) Whenever Sam goes to the grocery store she picks up Snausages because her dog looks at her with sad eyes when she tries to reward him anything else. What product has your brand loyalty? 7) Do you have a piggy bank or a coin jar? 8) Sam knows that she's always supposed to wear sunscreen, even on cloudy days, but she sometimes forgets. What do you know you should do, but sometimes don't? 9) Retailers report that sales of Halloween costumes for grown-ups are strong. Since Halloween was earlier this week and there will be parties this weekend ... What's your costume for Halloween 2013? If you aren't dressing up this year, tell us about one of your favorite outfits from a Halloween gone by. Sheryl Crow is a breast cancer survivor and October is Breast Cancer Awareness Month. Please spread the word about early detection. 1) What's something that always makes you happy? 2) In the lyrics, Sheryl refers to a poncho. How do you usually protect yourself from the rain? Poncho? Umbrella? Raincoat? Hat? 3) Early in her career, Sheryl made ends meet by singing commercial jingles, including one for McDonald's. When was the last time you visited The Golden Arches? 4) Sheryl rode a horse into the ring of a Wyoming rodeo and then sang. Have you ever been to a rodeo? 5) Sheryl lives outside of Nashville, which is known as Music City. What type of music do you listen to most often? 6) Crazy Sam is a massive Sheryl Crow fan, and is sure that the only reason why she and Sheryl aren't best friends is that they haven't met. What famous person do you think could be your BFF? 7) Sheryl and cyclist Lance Armstrong were once engaged. Had they tied the knot, she would have become stepmother to his three children. Are you a step-parent, stepsibling or stepchild? 8) Sheryl has performed carols at the National Christmas Tree Lighting Ceremony in Washington DC. Have you ever visited our nation's capital? 9) Do you consider yourself easy going or do you have a fiery temperament? Melissa Etheridge is a breast cancer survivor and October is Breast Cancer Awareness Month. Please spread the word about early detection. 1) This song is about a woman passionate about love and willing to pursue it, no matter what "they say." Are you fearless when it comes to public opinion? Or do you worry about what "they" think of you? 2) Melissa's father was a high school teacher. Tell us about a teacher who had an impact on you. 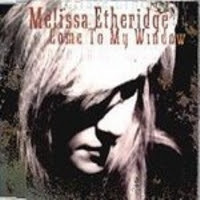 3) Melissa won a Grammy for this song. If you won a major award, where would you display it? 4) Which TV game show do you think you'd do better on -- The Price Is Right or Wheel of Fortune? 5) Are you neat and organized? 6) When was the last time you went more than a day without washing your hair? 7) When you eat Chinese food, do you use chopsticks or a fork? 8) Are you a good cook? 9) We're having a party in your honor! Would you prefer a costume party, a bowling party or a pool party? Olivia Newton-John is a breast cancer survivor and October is Breast Cancer Awareness Month. Please spread the word about early detection. 1) This is a sad song about unrequited love. What's your favorite love song, and is it happy or sad? 2) This song is from the Grease soundtrack. When that movie came out in 1978, the price of a postage stamp was just 15¢. When's the last time you visited the post office? 3) Not many people know that Olivia's maternal grandfather, Max Born, won the Nobel Prize in Physics in 1954. Share something about yourself that we might not have known before this morning. 4) Olivia's father was an officer in MI5, the UK's secret service. Sam's most recent run-in with the authorities had less intrigue or glamor, as it included a policeman pointing out the stop sign she'd somehow missed. Tell us about your most recent encounter with law enforcement. 5) Olivia is part owner of an exclusive, luxury retreat called Gaia. If you had a day of free access to a heated pool, golf course, tennis court, gym, and day spa, but could only use one, which one would you choose? 7) Do you more often wear silver, gold, or platinum? 8) When you're on the phone, do you usually make the first move toward ending the call? Or do you find it hard to say goodbye? 9) Would you rather be smarter, richer, or more attractive than you are right now? 1) Samantha Winters is very vain about her light blonde locks. What's your best feature? 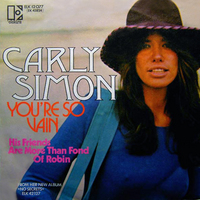 2) Carly Simon is the daughter of a wealthy family (Simon & Shuster Publishing). How would your life today be different if you knew there was a large sum of inherited money in your future? 3) October is Breast Cancer Awareness Month and Carly is a proud breast cancer survivor. Has breast cancer -- or cancer of any type -- touched you, your family or your circle of friends? 4) Carly has been known to perform with her sister, Lucy, and their oldest sister Joanna is a mezzo-soprano. Is your family musical? 5) Carly suffers from stage fright, a liability in her profession. When was the last time fear got the better of you? 6) Do you wear hats? 7) Autumn is known as "sweater weather." Is there a chill in the air where you are today? 8) Do you drink bottled water? 9) What color is your toothbrush? Saturday 9: Ain't That a Kick in the Head? 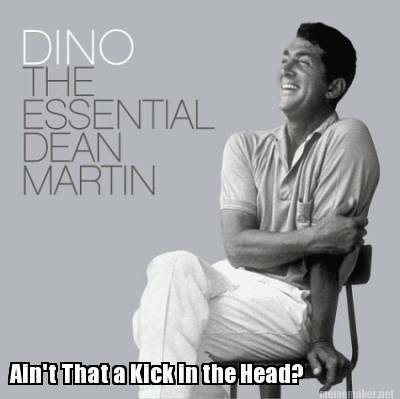 1) In the song, Dean sings, "Ain't That a Kick in the Head?" to express how delighted he is to discover the girl loves him. When was the last time you were pleasantly surprised? 2) Martin was born Dino Paul Crochetti, and his family only spoke Italian at home. Do you speak any language other than English? 3) Before he became an entertainer, Martin fought under the name "Kid Crochett." Do you watch boxing? What about wrestling? 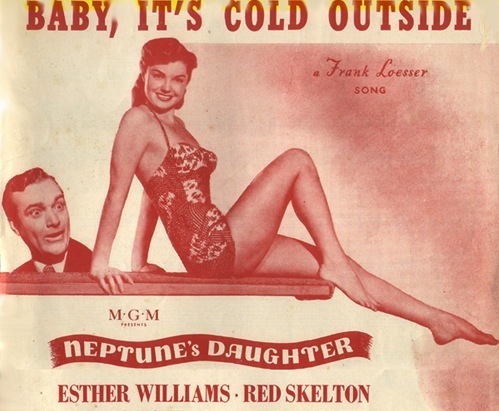 4) This song appeared in the original Ocean's 11 (1960). That film was remade in 2001, with basically the same plot -- a group of suave criminals knock over the casinos on the Vegas Strip. Why do you think so many movies feature crooks and con men as heroes? 5) Crazy Sam's college sweetheart took over his family's wholesale liquor business, married a woman named Helene and has two sons. How does she know this? She checked his Facebook page on the sly. Have you ever used the internet to look up an ex? 6) As she writes this week's meme, Sam is sipping from a Big Bang Theory cup that features Sheldon's face and the word, "Bazinga!" Tell us about your favorite mug or water bottle. 8) Do you know how to turn a somersault? 9) Which one do you use -- roll-on, stick or spray deodorant? 1) Let's get the obvious out of the way: Have you ever been to Seattle? 2) Businessweek named Seattle one of the best places to live, citing its clean air, low crime and high employment. What makes your current hometown a great place to live? 3) In this song, Bobby brags about how green Seattle is. Is it still green where you are? Or are the trees beginning to show their fall colors? 4) This song was the theme of a 1968-1970 show called Here Come the Brides. Do you know the words to any other TV theme? 5) Bobby Sherman was once America's #1 teen idol, selling millions of records and earning 5 Gold Albums. Girls who wrote to his fan club received a postcard back signed, "Peace, Love & Bobby Sherman." Have you ever belonged to a fan club? 6) Alas, the career of a teen idol can be short, and by fall 1970, Bobby was replaced on magazine covers by David Cassidy. Sherman went on to a second career with the LAPD, instructing officers in CPR and first aid. Do you know how to perform CPR? The Heimlich Maneuver? 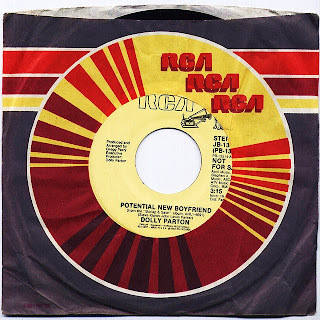 7) The "disc" you see shown is actually made of cardboard and was printed on the back of a Post Alpha-Bits cereal box. It was one of four that Post printed on different cereals back in 1970 so that Bobby-loving little girls would have to go through lots of different cereals to collect the whole set. What's your favorite breakfast cereal? 8) Crazy Sam can't decide if she wants berries or banana slices with her cereal. Which would be your choice? 9) Do you ever eat cereal straight out of the box? Drink milk directly from the carton? Unfamiliar with this week's song? Listen to it here. 1) Have you ever carefully set up dominos and then watched them fall? Or built a house out of playing cards? 2) In this week's song, Big Pink lead vocalist Robbie Furze sings, "The hottest love has the coldest end." Have you ever had a relationship that started out so promisingly and passionately but then quickly flamed out? 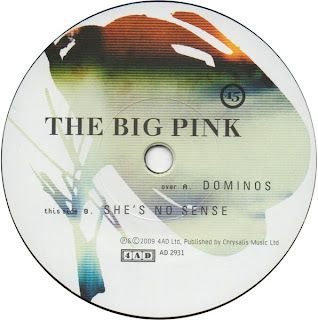 3) This is from Big Pink's CD, A Brief History of Love. What about your personal history of love? How many times would say you have truly been in love? 4) Nicki Minaj sampled this song for her own, "Girls Fall Like Dominos." Nicki won't be back on American Idol this season. Is your reaction a) delight or b) sadness or c) a yawn. 5) While nationally the news centers on foreign policy and the economy, Sam's hometown is abuzz over the new Asian-fusion restaurant on Main Street and whether it can get a liquor license. What's the big local story where you are? 6) Mary Jane Kelley is believed to be the fifth and final victim of Jack the Ripper. OK, now it's your turn. Share a random fact that's rattling around in your brain. 7) Crazy Sam cursed last night when she dropped a can of tomato paste on her foot. (Hey! It really hurt!) When was the last time you swore? 8) Sam has a grocery bag filled with hoodies and t-shirts she no longer wants and plans to take them to The Salvation Army store. What do you do with your gently used clothes? Toss them or donate them or hand them down to a friend or relative? 9) Do you blush easily? 1) This song is about a band of musicians that escapes on an adventure. Do you consider yourself spontaneous and adventurous? 2) Paul McCartney and Wings traveled all the way to Lagos, Nigeria, to record Band on the Run. That's a long, long way from London. What's the farthest from home you've ever been? 3) Wings featured Linda McCartney on keyboards. Paul said that when Linda died, after almost 30 years together, he lost the love of his life. Who is the love of your life? Or have you yet to meet him/her? 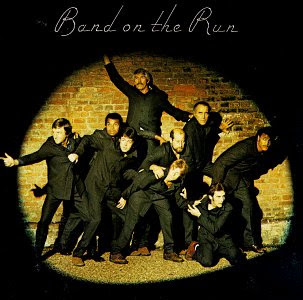 4) Paul has said he's very proud of Band on the Run, his most successful post-Beatles album. Brag a little. Tell us something you're proud of. 5) Paul's birth certificate reads "James Paul McCartney." He's named for his father, Jim. Are you named after anyone? 6) Paul enjoys oil painting in his spare time. What's one of your hobbies? 7) 20 Forthlin Road, Paul McCartney's boyhood home, has been turned into a museum by the British government. It's a modest 2 bedroom cottage, with a drainpipe that Paul used to climb to sneak in after curfew. How would you describe your childhood home? 8) Paul is 5'11". How tall are you? 9) Actor Christopher Lee is on the album cover. He played Dracula in a series of movies in the 1950s and 1960s. Who is your favorite vampire?